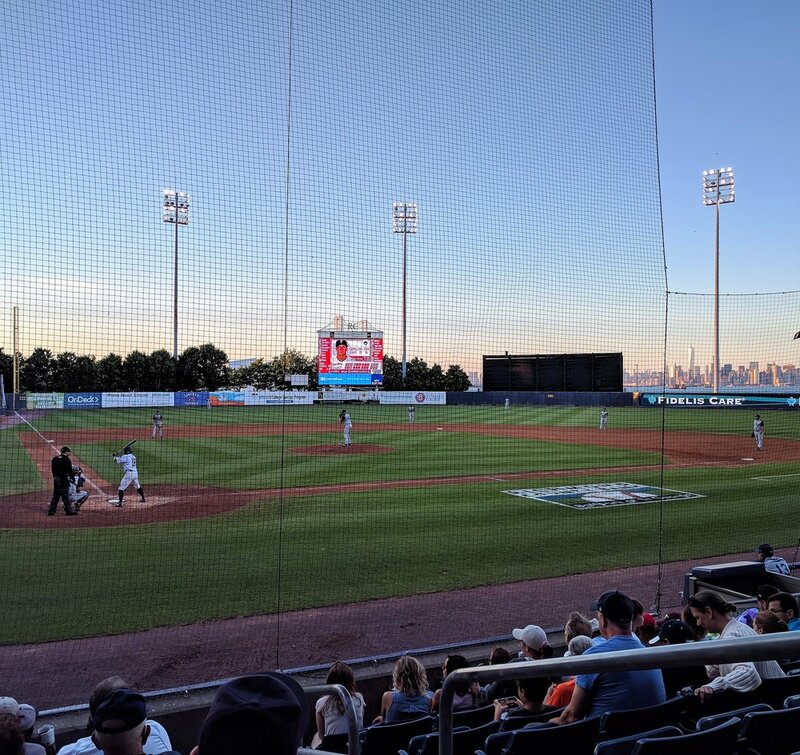 Quick post to highlight one of my favorite summertime New York City activities: Staten Island Yankees baseball. Staten Island? Yep, it's one of the five boroughs. Yep, it has a baseball team. Minor league, Single A short season -- nicknamed the Baby Bombers. But most people around NYC have no idea minor league baseball exists in the area. If anything, New Yorkers might be familiar with the Brooklyn Cyclones, the Mets affiliate team which plays its home games near the Coney Island boardwalk. But this general unawareness is to my advantage. Unlike with the other team of the same name that plays in the Bronx, these tickets can be had for a song. 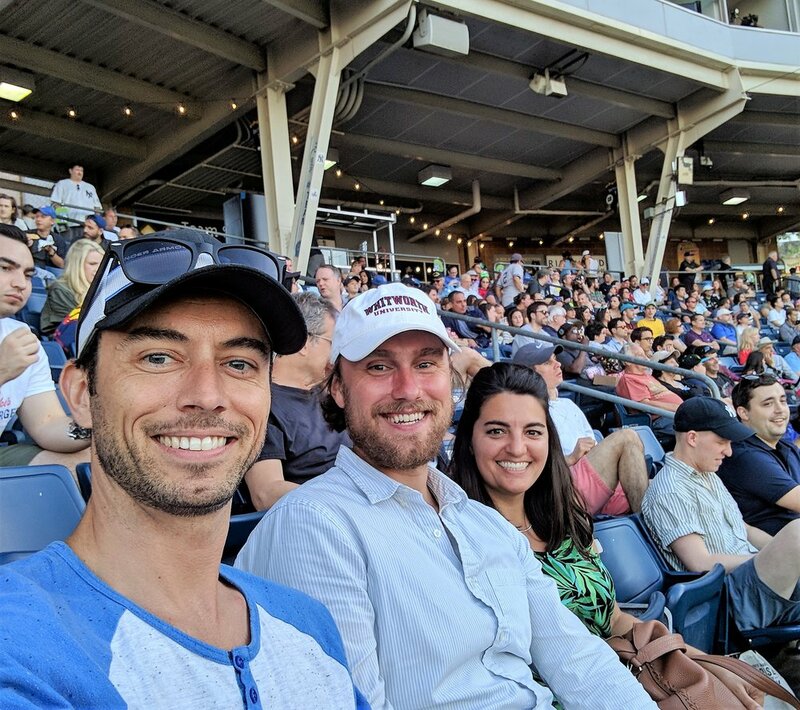 So this past Saturday, Nicole, myself, and our friend Adrian headed off for an evening game. I will posit no one had a more American night than we did. It started with the free ride on the Staten Island Ferry from lower Manhattan to Staten Island. The ferry motors right past the most American landmark of all -- the Statute of Liberty. Then it was into the ballpark, a short walk from the ferry terminal, for baseball, beers, and hot dogs. America! As our patriotic fervor started to red line, there was one more surprise in store. Free fireworks after the ball game, exploding just past the right field wall with a beautiful backdrop of lower Manhattan in the distance. In my humble opinion, Staten Island Yankees baseball is truly one of the mostly undiscovered gems in the area. A fantastic night for us all. Like this post? Want to read more about Travis and Nicole's travel adventures? Check out Walking Manhattan, New York From Top To Bottom Along Broadway Street ... The Best (And Cheapest) Way To See The City.